A reminder to all Parents of Scouts attending Summer Camp this year. 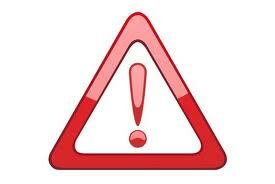 There is an important Parents Meeting on Friday 27th June 2014. 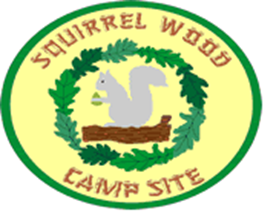 The meeting will be held at Curly Hill Camp Site at 19:15, and all Parents of Scouts attending Summer Camp are encouraged to attend as there will be important information given about camp. Prior to camp, every Scout must have a “Nights Away Permission Form”, sometimes referred to as a health form, completed for them. This should contain up to date health information, details of allergies special dietary requirements and emergency contact details for while we are away. You can download the form by following the link below. Please complete the form and bring to the Parents meeting. If you are unable to attend the Parents meeting, please return the form to Scouts by Friday 11th July at the latest. For those families offering hospitality it is a Scout Association requirement that all adults (people over 18 years of age) have a Disclosure and Barring Service (“DBS”) or Criminal Records Bureau (“CRB”) check completed. The DBS has recently replaced the CRB, but if you offered hospitality 3 years ago then your CRB is still valid and no further checks are necessary. If you did not offer hospitality last time, or someone in your household has turned 18 since the last camp, then a DBS check will need to be completed. Please download the forms on the links below and bring to the Parents meeting together with the evidence required when it will be checked and your application set in motion. A copy of all these forms can also be found on the Summer Camp 2014 page of this web site. Weekend away at Hag Dyke in July. 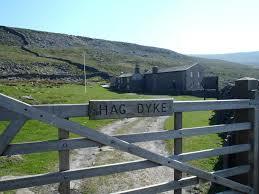 The weekend camp we intended to run on 24th June will not be going ahead, but has been replaced with a weekend away at Hag Dyke on 18th July. Please note this change to the programme, which will see the Troop spending a weekend away at Hag Dyke at the end of July. This replaces the weekend camp we intended to run in June, which for a number of reasons, including the challenge of dealing with lots of equipment without the Scout Hut, we have decided is not practical to run. Please see below a letter about the weekend and a permission form which must be completed and returned by Friday 11th July. Filed under: Uncategorized |	Comments Off on Weekend away at Hag Dyke in July. There is an important meeting on Friday 27th June for parents of Scouts attending Summer Camp. The meeting will be held at the Curly Hill Scout Camp Site at 19:15 on 27th June 2014. All parents of Scouts attending Summer Camp are encouraged to attend as you will find out more about camp and important final information. Please make every effort to attend. Those families offering hospitality to our Dutch visitors are required to have a Criminal Records Bureau (“CRB”) or Disclosure and Barring Service (“DBS”) check completed for all members of the household who are over 18. There is no charge to you for having this check completed, but we do require a form to be completed and some documents provided as evidence of identity and address. If you provided hospitality 3 years ago then your CRB is still valid and there is no need to do a new one. If you have not completed one before, or a member of your household as turned, or will turn by Summer Camp, 18, then a DBS application will need to be completed. We will be in touch with those who need to complete a form before the meeting so you can bring the necessary documents with you. The Scout meeting will run as normal between 19:15 and 21:15 but meeting at Curly Hill. This is for all Scouts, not just those attending camp.